It’s taken a few days longer than normal for a new build to arrive for Windows Insiders, but Build 14959 for both PC and Mobile finally makes its way onto the Fast ring. This is the first new build since Microsoft announced the next big step in Windows 10’s evolution -- Creators Update. This is due to be released early next year, but Windows Insiders will get an early taste of all its new features and improvements. In fact, if you’re a Windows Insider you’ll already have experienced some of what will become Creators Update through Build 14955, released last week. 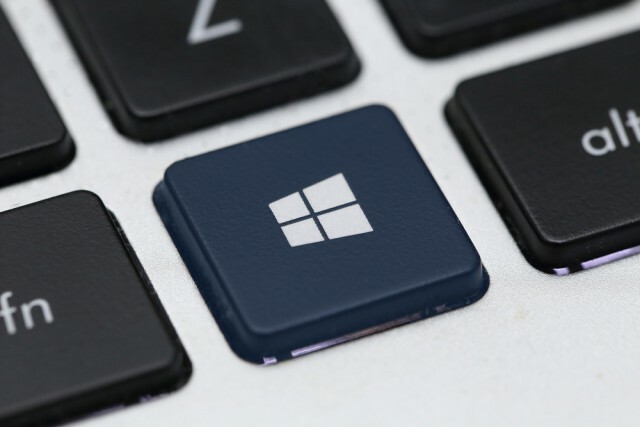 Dona Sarkar, Windows Insider chief, explains that "Windows is an iceberg, the features that people 'see' are quite a small percent of the engineering work that we do to enable new UI to be visible". So while the big new features revealed at the Windows 10 event last week won’t start rolling out for a few weeks yet, each new build lays the foundations for them. Build 14959 is being published using Microsoft’s Unified Update Platform (UUP), and the biggest new feature to be detailed is the ability to control the display scaling of virtual machines on PC. Fixed an issue for Insiders resulting in the automatic brightness setting unexpectedly being turned off after upgrading. In doing so, Microsoft re-enabled automatic brightness adjust for users that have never changed their auto-brightness setting. If you have already manually configured your auto-brightness setting, then this fix will not affect you. If you would like to enable or disable automatic brightness adjustment go to Settings > System > Display, where you can adjust your preferences. If you have a 3rd party antivirus product installed on your PC -- your PC might not be able to complete the update to this build and roll-back to the previous build. Microsoft is aware of an issue where Internet Explorer may crash a few seconds after launch and working. Fixed an issue where Settings might hang after unchecking "Let apps automatically use this VPN connection" in VPN Settings. If you used the previous ‘date change’ workaround to update to Build 14951 or Build 14955: Don’t use it any longer! The Microsoft account (MSA) ticket on your device needs to expire and then you’ll be offered today’s build. If you changed your date by 30 years… you’ll want to do a device reset. You will be unable to install additional languages, keyboards, and speech packs on your phone for the next few weeks. If you have existing languages, keyboards, and speech packs installed -- they will carry over when you update to new builds. You just can’t install any new ones. If you do a hard reset of your phone on these builds -- you will also be unable to install additional languages, keyboards, and speech packs. You can use Windows Device Recovery Tool to go back to Windows Phone 8.1 or Windows 10 Mobile, install any languages, keyboards, and speech packs you need and then update to the latest build in the Fast ring as a workaround.